Mentoring strengthens educators’ professional development and growth and builds capacity. Through support of quality practice in the National Quality Standard (NQS) Quality Areas 1, 4 and 7, mentoring also promotes positive outcomes for children and families. Commonplace within most professions and organisations, mentoring can take many different forms and suggest a variety of responsibilities and expectations. Our understanding of mentoring can be influenced by personal experience, perspective and context. To provide insight into this highly effective education and care professional development strategy, this month’s blog explores 10 key mentoring understandings. Mentoring is beneficial to all educators throughout their career. Educational practice, knowledge and skills develop and grow over time; mentoring can occur at any time along this learning and professional development continuum. Mentoring provides opportunity for inspiration, growth and professional renewal for both mentee and mentor. Mentoring, therefore, has positive outcomes for services, providers and the profession as a whole. Mentoring is a two-way, nurturing, learning relationship and, like all relationships, requires commitment and effort. Mentees are encouraged to be open to the possibility of the learning journey and mentors are, likewise, encouraged to be open to share the contents of their ‘professional toolbox’ and champion the mentee’s professional growth. Mentees and mentors must be interested and willingly commit to the mentoring process and the building of a learning relationship. Positive intent, relational trust, honesty, respect and responsibilities are inherent. If a successful relationship is not formed, alternative mentee-mentor pairing may be appropriate. Mentoring is not a one-directional, ‘top-down’ imparting of practice, knowledge and skills. Reciprocity acknowledges both the mentee and mentor’s mutual contributions, experiences, agency, and competence. Mentee and mentor are partners in the learning process, and knowledge gained by both is new and co-constructed. Mentoring is not hierarchical supervision but rather an open, responsive and reciprocal relationship. In a service context, mentoring does not necessarily need to be linked to supervisory roles. Selecting a mentor should be based on who is best suited, and has the capacity, to support the mentee. Mentoring is undertaken over a sustained period; it is not a one-off meeting. Mentoring requires planning, time and resources for regular conversations and for a learning relationship to flourish. As education and care settings can be time-challenged, quality mentoring time usually needs to be scheduled. Scheduling requires leadership and a positive organisational culture to facilitate resource management such as staff coverage. One of the most powerful enablers for mentoring best-practice is a supportive workplace that values professional development. Reflecting on practice (by closely examining ethics, philosophy and decision-making processes) is central to the mentoring process for both mentees and mentors. A culture of mentoring promotes a culture of reflective practice. A positive organisational culture and environment provide a safe and supportive space for a mentee to self-assess and be self-reflective. Mentors will ideally have training in communication to help support and guide mentees in professional conversations. V. Moving forward – either completing the process or returning to Step II to repeat the cycle. Mentoring is intrinsically a relationship and is most effective when the relationship is complementary and tailored to both mentee and mentor’s needs. No two relationships are identical. In its most effective form, mentoring is undertaken in a structured manner with very clear goals, roles, scope and scheduling. However, less structured mentoring can also be beneficial. Mentoring relationships may also be provided in a collective approach, such as when an external mentor supports a group of educators in one service or in a number of remote services. This group context can provide different but equivalent professional development as a one-to-one engagement. Mentoring can be undertaken face to face, on- or off-site and via phone, email, web or social media. The context and purpose affect the process. For example, on-site engagement and real-time feedback from observations may be essential for pre-service educator mentoring, whereas online engagement may be practical for peer-mentoring in remote locations. The role of social media in mentoring is an evolving phenomenon. Considering and reflecting on these 10 key understandings can help you frame your thinking about the valuable role mentoring can play in supporting educators. The additional NEL and We Hear You blogs listed below may support you in exploring mentoring options further. Murphy, C. and Thornton, K. (2015) Mentoring in Early Childhood Education, NZCER Press, Wellington, New Zealand. Newly graduated educators can face a daunting experience, navigating the complex ‘mini-world’ of a new workplace. 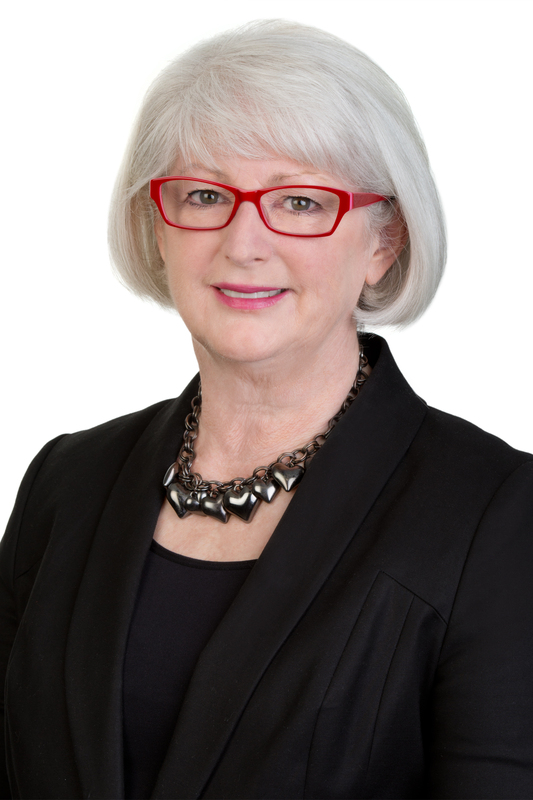 Sally Burt, a recent teaching graduate and participant in the ACECQA Early Career Educators Program, writes about two key survival strategies for new educators to support this journey into the profession – teamwork and mentoring. Both strategies can be highly effective in supporting graduates as they transition into the workforce and ‘become educators’. Educators are undoubtedly the greatest asset to quality education and care services. A highly qualified children’s education and care workforce is one of the most powerful influences on positive outcomes for children and quality early learning programs and environments. Stability and continuity of educators is also essential to quality practice and the profession as a whole. It makes great sense to ensure educators, particularly those new to the sector, are well supported and have maximum opportunity to be their professional best. Education and care services are diverse and complex workplaces that have people and relationships at their core and outcomes for children as their goal. The building and leading of a team to achieve this is usually the responsibility of the educational leader, manager or director. However, successful teams are comprised of individuals who are effective and engaged team members. This is particularly important in the context of a distributed or shared leadership approach where leadership is collaborative and responsibility is collective. developing ‘ownership’ of the direction of a service. Your individual contribution to a team is unique. Every educator has their own strengths, skills, experiences, capabilities, values and beliefs. This diversity can greatly enrich the team as a whole. Effective leaders use a strengths-based approach to build and develop teams. New educators are, therefore, encouraged to embrace their capability and to feel confident in contributing. A fresh perspective, contemporary knowledge from recent study, and enthusiasm are just a few of the specific strengths of new educators. Skills in being an effective team member should also be cultivated. Communicating effectively, being open to the perspectives of others, active listening, demonstrating respect, having cultural awareness and being flexible will all assist you to engage with your team. Participating in team-building activities will also be helpful. Suggesting innovative team building ideas will demonstrate your personal commitment. Mentoring is a key survival guide strategy for new educators, supporting the transition to the workforce and enhancing job satisfaction, commitment and retention. Mentoring can boost teacher confidence and improve teaching expertise. Mentoring is also a highly effective leadership development strategy, increasing the leadership capacity of services. It supports the professional growth and development of all educators, as well as promoting outcomes for children by reinforcing Quality Areas 1, 4 and 7 of the National Quality Standard (NQS). Mentoring is fundamentally a learning relationship that supports, strengthens and develops professional practice. Traditionally, mentoring is a one-to-one learning relationship between a novice (the mentee) and a more experienced practitioner (the mentor). Mentors guide, support, provide feedback and develop the goal-setting and critical reflection of their mentee. When looking for a mentor, consider people both inside and outside your workplace. A mentor is ideally not a line supervisor, as a hierarchical relationship may not be a supportive environment for a mentee to be reflective. Ask your educational leader, manager or director for advice, as they will likely have some suggestions and contacts. an educator met through an educator network. Goal setting and action planning. Developing professional skills and tracking progress. Moving forward – either completing the process, or returning to Step 2 to repeat the cycle. Goals should be SMART: specific, measurable, attainable, realistic and time-bound. Goal setting and action planning should, ideally, be initially scaffolded by the mentor, but evolve to be intentional and self-directed by the mentee. A useful model for structuring goal setting and action planning is the GROW Model. Remember, mentoring is a relationship. Relationships require commitment and effort. Mentees and mentors must be interested and willingly committed to the mentoring process and the building of a learning relationship. Positive intent, trust, honesty, respect and responsibilities are inherent. If a successful relationship is not formed, alternative mentee-mentor pairing may be appropriate. Leadership and positive organisation culture enable mentoring. Mentoring requires time for regular dialogue and relationship building. As education and care settings are time-challenged, quality mentoring time needs to be scheduled. Scheduling requires a positive organisational culture and leadership to facilitate resource management such as staff coverage. One of the most powerful enablers for mentoring best-practice is a supportive workplace that values professional development. Be open to the learning journey. Mentoring requires choice and some bravery, on the part of the mentee, to start a relationship and open their practice to review, dialogue and development. Being open to the possibility of this learning journey will provide a positive foundation on which to build the relationship. Mentors are, likewise, encouraged to be open to share the contents of their ‘professional toolbox’ and join their mentee on the journey. Mentoring provides an opportunity for inspiration, growth and professional renewal for both mentee and mentor. Transitioning into a new workplace and becoming an educator is a journey of discovery and challenges that all graduates face. Teamwork and mentoring are two strategies that can effectively support this transition and, importantly, equip new educators with lifelong skills and practices to be their professional best. Emergent curriculum is a method of planning and curriculum decision making used readily across the sector. It describes curriculum that is responsive to children’s interests, and is meaningful, relevant and engaging for each child. Yet, the pedagogical intentions of the approach are often misunderstood or misrepresented. A current myth is that planning isn’t required and programs emerge solely from children’s interests. This is not the intention of the emergent curriculum. is responsive to children’s interests, strengths and aspirations. This approach allows educators to respond to observations of children, build upon their strengths and scaffold their learning. It requires professional knowledge, planning for learning, and a focus on progressing each child’s learning and development towards the learning outcomes. 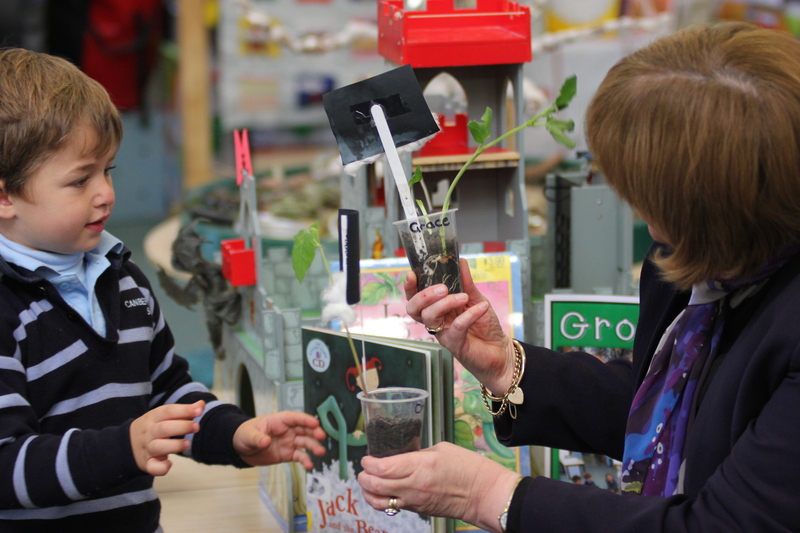 Educators working within the emergent curriculum, endeavour to build on children’s prior learning and current interests, and provoke new ideas and learning opportunities that challenge and extend children’s existing understandings about the world. 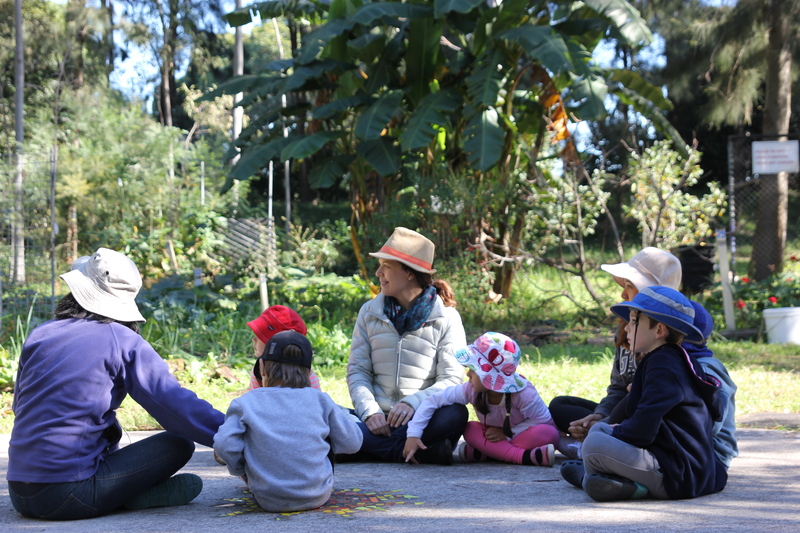 Planned learning programs are flexible and responsive to the spontaneous and emerging interests of children and serve to seize key ‘teachable moments’. values held in the education and care context (school, community, cultural group). “We are the stage directors; curriculum is the teacher’s responsibility, not children’s. People who hear the words emergent curriculum may wrongly assume that everything emerges simply from the child. The children’s ideas are an important source of the curriculum but only one of many possible sources that reflect the complex ecology of their lives” (Jones and Nimmo 1994, p.5). Emergent curriculum identifies the need to include child led learning, coupled with educator-supported learning opportunities. Curriculum is viewed as a ‘child-initiated and educator framed’ process, a negotiated and co-constructed process in which educators and children have a voice. Emergent curriculum is not an unplanned process but very much intentional in its nature. 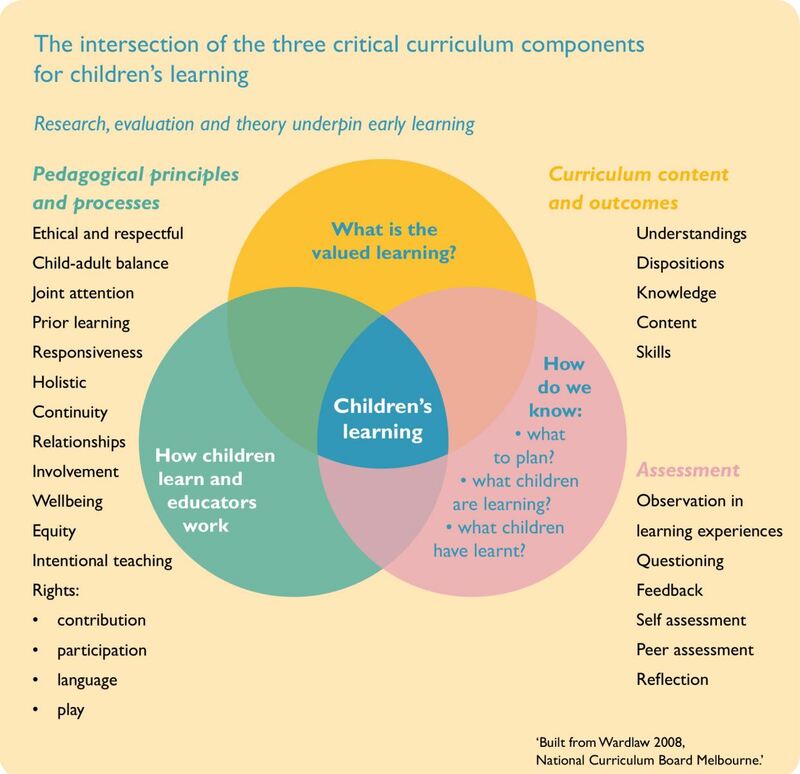 Intentional teaching and curriculum decision making are often seen as at odds with a child-centred, play based approach. This is another myth to debunk. Intentional teaching can be responsive to both children and the learning outcomes identified in the approved learning frameworks. The term ‘intentional teaching’ is not used to describe a formal or structured approach to teaching. It is used to describe teaching that is purposeful, thoughtful and deliberate. When we look at the practice of intentional teaching through this lens, we can see how it compliments rather than contradicts the emergent approach to curriculum decision making. Intentional teaching offers a rich opportunity to actively promote children’s learning and knowledge building. The approved learning frameworks and National Quality Standard do not prescribe how educators should plan for children’s learning, as the context and setting of the service will guide each service’s approach. Services may use a variety of approaches, such as emergent curriculum, to inform their curriculum decision making. 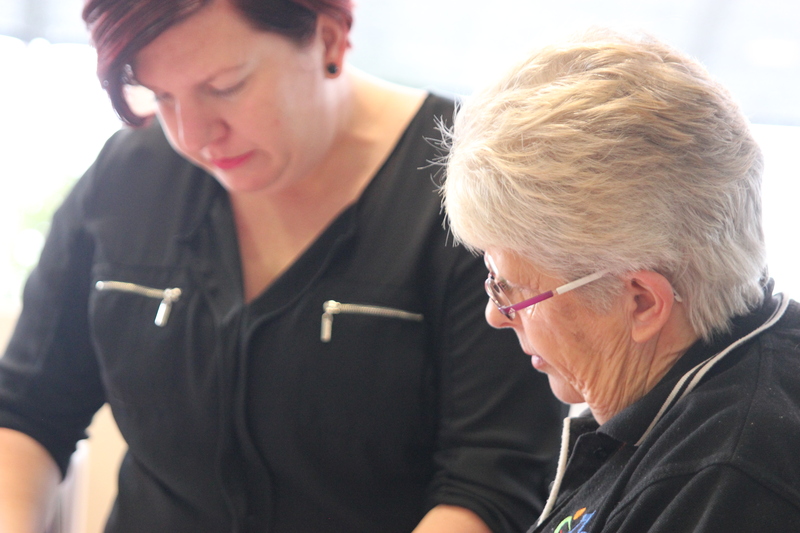 When planning it is important to consider the key elements of the approved learning frameworks, including the belonging, being and becoming, principles, practices and learning outcomes (Early Years Learning Framework, p.10 Framework for School Age Care p.9). Use the following questions to prompt further professional discussion at your service. – How does this information fit with your view of emergent curriculum? – How do you incorporate intentional teaching while planning from children’s ideas or interests? – How do you use children’s voices to promote the learning outcomes? – How will you use the approved learning frameworks to strengthen your pedagogical beliefs and develop a spirit of enquiry about what you do and why? Standard 6.3 of the National Quality Standard (NQS) highlights how helping children contribute to their community can improve children’s wellbeing and learning. When educators make connections within the wider community, they advocate for children’s rights to be seen as active citizens who contribute to society. Children’s understanding of citizenship and stewardship develops and the community is reflected in the service program, practice and operations. promote community understandings of how children learn. It is useful to find out what is happening in your local community and identify national or international events that children can be involved in. This can help children to feel a sense of belonging in, contributing to and influencing their world. Recent posts on our We Hear You blog highlight the practices of two services that have effectively engaged with their communities. 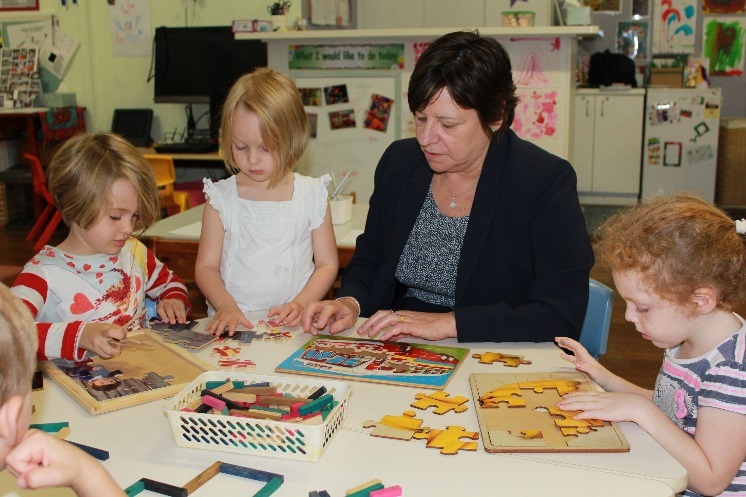 Larapinta Preschool in the Northern Territory focused on developing and nurturing partnerships with families and their local community by working alongside organisations in the community to develop an understanding about Indigenous perspectives in the local context. Gowrie Victoria Docklands worked with the Melbourne Museum on the redevelopment of the museum’s children’s gallery, advocating for children’s ideas and suggestions to be taken into account in the design and development stages of the project. Making links with the local library, schools, Indigenous communities and family support services, for example, can help build understandings and make relevant and authentic connections and partnerships in the community. The Australian Early Development Census (AEDC) also is a useful source of information about your community, that can inform decision making. 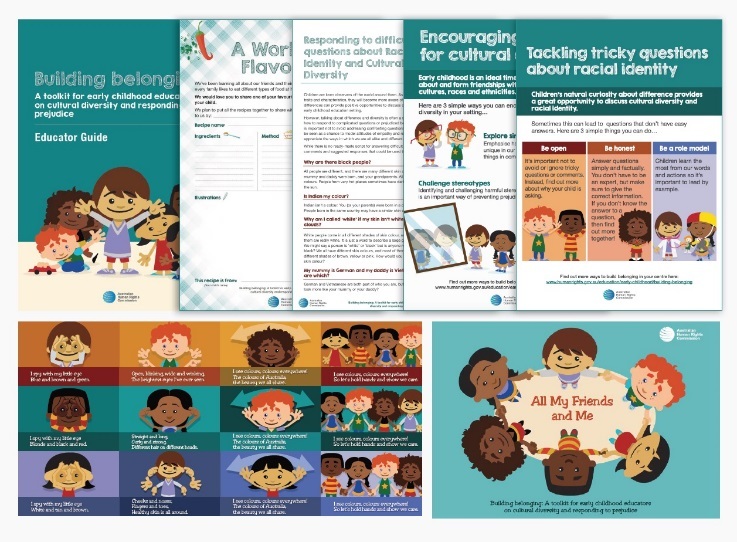 Engaging in authentic and respectful community celebrations is also a great strategy for building children’s understanding of their community and respect for diversity. You might like to develop a calendar of relevant community events and add national events appropriate for young children and their families, such as Children’s Week (22-30 October), NAIDOC Week (3-10 July), Book Week (20-26 August 2016) and Literacy and Numeracy Week (29 August-4 September).